Scores of desperate investors in Botswana are facing financial ruin as a multimillion-pula bijou tourism project on the Chobe River struggles to stay afloat amid a sharp downturn in the country’s travel and hospitality industry. By ALFRED MASOKOLA and OLEBILE LETLOLE for AMANHUNGANE. The Bridgetown lodge in Kasane is the brainchild of former speaker of parliament, former minister of labour and of home affairs Patrick Balopi, who in 2010 received a presidential order of honour for developing the “state-of-the-art, self-catering holiday resort with a potential to empower over 4,000 citizens”. Investors now accuse Balopi of failing to keep undertakings made when the resort was launched on the back of a P46-million bank loan. Also raising eyebrows is the fact that he offloaded his shares before a court challenge by an aggrieved investor, and that there are now fresh moves to sell the lodge. Balopi declined to comment. 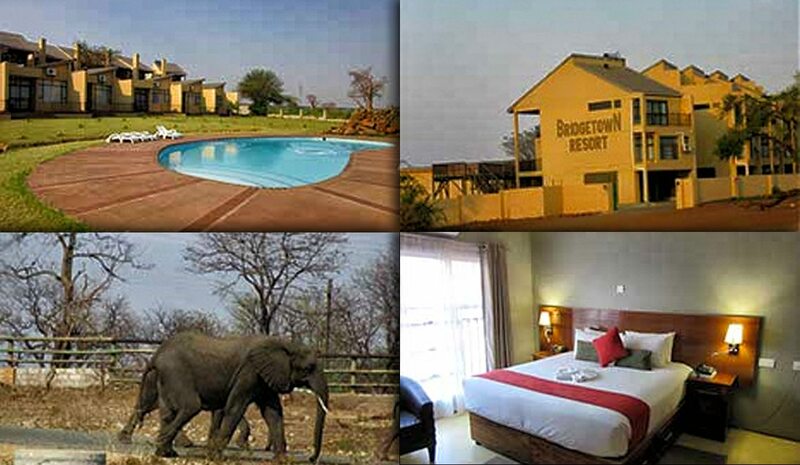 An investigation by Botswana’s Weekend Post and the Ink Centre for Investigative Journalism has established that the resort is up for sale to a South African company for P95-million. The current owner, Botswana property mogul Ahmad Mansur Sidiqui, said he has invested P24-million in Bridgetown and is selling his stake because the business is “going down”. Set in a wildlife paradise, Bridgetown was touted as a magnet for tourists and holidaymakers en route to the Okavango Delta and the Victoria Falls. About 100 investors injected close to P30-million, with six of them purchasing two-bedroom, self-catering, self-contained cabanas, and 90 others timeshares. They say they were promised that those who bought units would receive a minimum monthly rental of P18,000, effective from May 2012, and that the directors pledged to involve them in the affairs of the company, including giving them access to final statements. This had not happened. The case has been catapulted into the public eye by a High Court ruling in favour of an investor, Bookie Kethusegile, who bought a cabana worth P2.5-million and now charges that she has not received the promised return on her investment over four years. Kethusegile said she received a payout of P45,000 after about 14 months into the investment, and another P45,000 in September 2013 after complaining about non-payment. She said she was told the initial rental would rise to P2,000 a day after six months. The pensioner claims to have accumulated debts exceeding P600,000 and now cannot service the P2.5-million loan she received from First National Bank of Botswana, which has threatened to attach her Bridgetown unit and her house in Tlokweng. In September 2015 she won an unopposed court order ordering Bridgetown to pay her P1.2-million and outstanding monthly rentals. After securing a P46-million loan from FNBB, Balopi built 13 two-bedroom self-catering apartments and 10 one-bedroom self-catering apartments, representing a quarter of the planned project. But the scheme appeared to struggle against stiff competition from established high-end hotels in Kasane, prompting him to call in a local investor three years later. Virgin Enterprises, owned by Sidiqui and his family members, Jaudat and Tehniat Sidiqui, acquired a stake in Bridgetown when the family injected P9-million into the business. The 50/50 partnership allowed Sidiqui to change the land use from self-catering apartments to a hotel, slashing the room rates from P2,000 to P1,300 per night. The hearing on Kethusegile’s application was postponed until August this year after Sadiqui’s lawyers argued that he had not received a summons because of a change of address. Meanwhile, Sidiqui is in sale negotiations for two little-known companies, Forbidden Elephant Kingdom and Ashira Investments. Papers seen by Weekend Post and INK Centre for Investigative Journalism indicate that the acquisition of Bridgetown is at an advanced stage with a purchase price expected to be proposed to Sidiqui before the end of last month. Forbidden Elephant Kingdom is a South African company that registered in Botswana in March this year. A source said it has offices in Swaziland and has sponsored football in Botswana. South African company records indicate that it is a recently established business based in Waterkloof, Pretoria. A company search shows that Ashira Investments was registered in Botswana in August 2012 and belongs to Kabelo and Kebonyetsala Kemoabe of Tlokweng. “We don’t know who they are,” said Kethusegile. Another investor who asked not to be named said she purchased time shares worth P84,000, giving her to access to a room for a week each year. She was not aware that Bridgetown is in financial trouble and that Sidiqui is pulling out. “What about our investments?’” she asked, adding that she had instructed her lawyers to issue a letter of demand, but that Bridgetown had not responded. An investor who also did not want her identity disclosed said she invested P60,000 in Bridgetown but has never met its shareholders. She has also engaged attorneys to establish why she has received no returns. “I am not aware of Forbidden Elephant Kingdom,” she said. Bridgetown spokesman Mohammed Badrodin said the company had applied for a hotel licence because “there was no business in self-contained apartments”. Although Balopi “had a grand idea, there was little interest”. The occupancy rate at Bridgetown has never exceeded 32%, he said, and had even fallen to 12% during the 2014 election. He said Sidiqui constructed bars and a restaurant, but “that did not help resuscitate the resort”. He also revealed that Sidiqui intends to sell the Oasis Motel, near Gaborone, for an undisclosed amount. “Everyone wants out of hotel and tourism. Gaborone Sun has been sold to Avani, Lahnor sold Masa Square,” he said. INK Centre for Investigative Journalism, a non-profit newsroom to develop investigative journalism, produced this story in collaboration with the Weekend Post newspaper and the amaBhungane Centre for Investigative Journalism.